In this third of three shows on the Eternal City, we'll explore this grand metropolis — so rich in art and culture — on a more intimate scale, delving into its back lanes and unheralded corners. Venturing through the crusty Trastevere district, visiting the historic Jewish Ghetto, and enjoying art treasures in a string of rarely visited churches, we uncover charms of hidden Rome that compete with its marquee sights. Francesca, who works almost full time with my tours when in Rome, has contributed generously to my guidebooks. Popular with my readers, Francesca understandably books up quickly; if she's busy, she'll recommend one of her colleagues. Appriciate the church's eclectic exterior, with mismatched columns that were recycled from pagan temples. Inside is an evocative statue of St. Cecilia, a 13th-century Gothic canopy, a ninth-century mosaic, a crypt containing some early Christian iconography, and a loft with an extraodrinary Last Judgment fresco by Pietro Cavallini (open daily). A basilica was erected here in the fourth century, when Christianity was legalized, and it's said to have been the first church in Rome dedicated to the Virgin Mary. Today's structure dates mainly from the 12th century (free, long hours daily). Ristorante il Gabriello is inviting and small — modern under medieval arches — and provides a peaceful and local-feeling respite from all the top-end fashion shops in the area. Claudio serves with charisma, while his brother Gabriello cooks creative Roman cuisine using fresh, organic products from his wife's farm. Italians normally just trust their waiter and say, "Bring it on." Tourists are understandably more cautious, but you can be trusting here. I like to invest about €55 in "Claudio's Extravaganza" — not including wine — created especially for my readers (not on the menu). Specify whether you'd prefer fish, meat, or both. (Be warned: Romans think raw shellfish is the ultimate in fine dining. If you don't, make that clear.) While you're likely to dine surrounded by my readers here (especially if eating before 21:00), the atmosphere is fun and convivial. The 24 rooms are spacious, quiet, and tastefully decorated, and the elegant sitting room has a manor-house feel. Stefano runs a fine staff, serves wonderful coffee, provides lots of thoughtful extra touches, and works hard to maintain a caring family atmosphere. Micaela is uniquely equipped to guide visitors through the neighborhood her family has lived in for generations. Rome's modern synagogue stands proudly on the spot where the medieval Jewish community was sequestered for more than 300 years. The site of a historic visit by Pope John Paul II, this synagogue features a fine interior and a museum filled with artifacts of Rome's Jewish community. The only way to visit the synagogue — unless you're here for daily prayer service — is with a tour. This is the only Gothic church in Rome, with a little-known Michelangelo statue, Christ Bearing the Cross (open daily; on a little square behind the Pantheon, to the east). The Byzantine Empire, with its capital in Constantinople (ancient Istanbul), was the eastern half of the Roman Empire. Unlike the western half, it didn't "fall," and its inhabitants remained Christian, Greek-speaking, and cultured for a thousand years while their distant cousins in Italy were fumbling for the light switch in the Dark Ages. Byzantine craftsmen preserved the techniques of ancient Roman mosaicists (who decorated floors and walls of villas and public buildings), then re-infused this learning into Rome during the city's darkest era. Take the time to let your eyes adjust, and appreciate the Byzantine glory glowing out of the dark church (open daily). Built in the fifth century to house the chains that held St. Peter, this church is most famous for its Michelangelo statue of Moses, intended for the tomb of Pope Julius II (which was never built). Check out the much-venerated chains under the high altar, then focus on mighty Moses (free, open daily; note that this isn't the famous St. Peter's Basilica, which is at Vatican City). For an exciting day trip, pop down to the Roman port of Ostia, which is similar to Pompeii but a lot closer and, in some ways, more interesting. Because Ostia was a working port town, it shows a more complete and gritty look at Roman life than wealthier Pompeii. Wandering around today, you'll see warehouses, apartment flats, mansions, shopping arcades, and baths that served a once-thriving port of 60,000 people. With over 70 peaceful park-like acres to explore and relatively few crowds, it's a welcome break from the bustle of Rome. Buy a map, then explore the town, including the 2,000-year-old theater. Finish with its fine little museum. 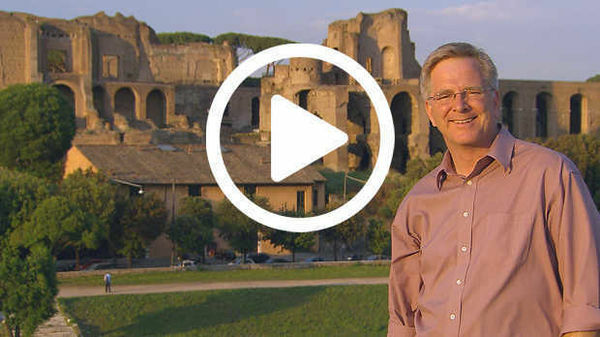 Hi, I'm Rick Steves back with more of the best of Europe. This time, we're immersing ourselves in the street life and the culture of Rome. Thanks for joining us. Visitors experience Rome in layers. It's built on over 25 centuries of history and culture. Sure, you've got to see its famous ancient sights — those awe-inspiring remnants of a mighty empire, like the Colosseum, the Forum, and the Pantheon. And you can't miss towering St. Peter's Basilica at the Vatican, along with the lavish Baroque wonders that decorate Rome's churches, squares, and palaces. We do that in other episodes on the Eternal City. 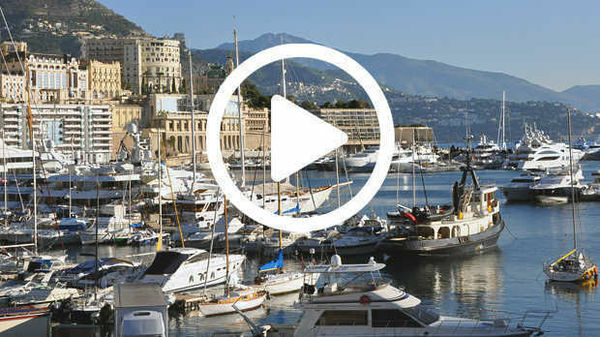 In this episode, we explore this grand city — so rich in art and culture — in a more intimate way, by delving into its back lanes and unheralded corners. Rome was born, about 3,000 years ago, here — along the Tiber River. This was as far upstream as boats could sail, and the first place the river could be crossed by bridge. As a center of river trade, Rome connected the interior of the Italian peninsula with the Mediterranean. The riverbank would have been bustling in ancient times. Imagine: busy docks, ramshackle boats, water mills, and platforms for fishing. Until modern times, Rome's river was part of its economy. Then, in the 1870s, in order to protect the city from flooding, the Romans walled off the Tiber. They built these tall, anonymous embankments that continue to isolate the river from the city to this day. While Rome was born on the Tiber, today the town seems to ignore its river. But the city's graceful bridges connect thriving neighborhoods. Just over the Tiber from here is one of Rome's most colorful districts. Trastevere is the place to immerse yourself in the crustier side of Rome. The name, Trastevere, actually means "across the Tiber River." Wandering here offers a chance to hone your senses, to see Rome more intimately. You'll discover a world of artisans who've found their niche and love it. The people here — "Trasteverini" — are proud. Old-timers once bragged of never setting foot on the opposite side of the Tiber. As we explore and observe, the big city seems worlds away. For maximum Trastevere fun and insight, I'm joined by my friend and Roman tour guide, Francesca Caruso. Francesca: Certainly. That is really the key to understanding Rome. This city, with almost 3,000 years of history, was never abandoned. So people have just built on top of and around what was already there. Rick: Like a layer cake, isn't it? Rick: Boy, there's a beautiful roof garden. Francesca: Yeah, most of us in Rome live in apartments, so no gardens, no backyard…so we all dream of the attico con terrazzo. Rick: Attico con terrazzo, an attic with a terrace. Francesca: Yes, so the skyline of Rome is full of these little jungles on the rooftops. Rick: Everything's so intimate, it's like we're walking through somebody's laundry room. Francesca: Well, we've always lived so very close together here — sharing space is really not a problem. We don't even have the word for "privacy" in Italian. We use the English word instead; we simply roll the R so we say "prrrivacy." Rick: Prrrivacy. I know one more Italian word now. Rick: So, why are so many of the oldest churches in Rome on this side of the river? Francesca: Because Trastevere was the neighborhood of foreigners, often Christian, who brought their faith with them. Through the whole period of the persecutions they could not build churches. So, mass would be celebrated in the homes of wealthy converts who offered their homes for mass. Rick: So, this is one of those kind of churches. Francesca: Yes, it was the house of Cecilia, and in later times they built a church dedicated to her. Rick: And today the name of the church? Rick: Now, what happened to St. Cecilia? Francesca: St. Cecilia and her husband were killed because of their faith. The Romans tried to steam her to death for three days in her own home, and after that they beheaded her. Rick: This is a beautiful statue. It's just peaceful. Francesca: Yes; it's very quiet. There's something very tender about it, and also very sad about a young woman who was killed so brutally for her faith. 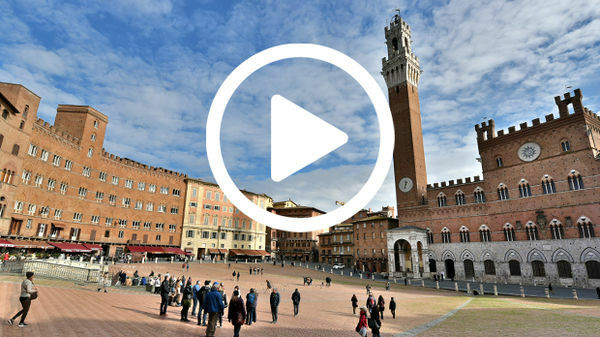 The concept of a piazza serving as a community center goes back to ancient times. Piazza Santa Maria in Trastevere is the heart of this neighborhood. With its broad and inviting steps, the fountain was actually designed to be a kind of neighborhood "sofa." Rick: A great part of exploring a neighborhood is just sitting on the main square. Francesca: Yeah, I think it's really in our DNA. We've been living in our piazzas as common living rooms since ancient Roman times. It's always been this way, and let's hope it will always be this way in the future, too. And, as usual, the district's main church fronts the main square. The Church of Santa Maria in Trastevere is also one of Rome's oldest and most beloved churches. Like Cecilia's church, it's built on the site of a third-century home where early Christians worshipped illegally. And, like the city itself, it's been a work in progress, rebuilt continuously over the centuries. The portico is decorated with ancient fragments filled with early Christian symbolism — the anchor, birds, people with hands up praying as evangelical Christians do today. Many of these stones were originally lids to burial niches from catacombs. Stepping inside takes you back centuries. The granite columns were scavenged from ancient Roman buildings. The church feels like an ancient hall of justice. That's because early churches adopted the pre-Christian basilica floor plan — a rectangular space divided by rows of columns. These mosaics are early medieval — well over a thousand years old. They're rich in symbolism: Mary is given ahigh stature. She's at the throne with Jesus in heaven. He has his arm around his mother, as if introducing her to us. Locals claim this is the first church dedicated to the Virgin Mary. I never leave without checking in with St. Anthony, who hangs out in the back. He's a favorite of the poor, and is inundated with prayer requests on scraps of paper. For dinner, we're venturing into another neighborhood. Grand as it is, the visitor's Rome is compact. There's no shortage of places to dine, and one of my favorites is a short cab ride away, back on the other side of the river. Ristorante il Gabriello provides a peaceful and local-feeling respite from the intensity of the big city. Claudio serves with charisma, while his brother Gabriello cooks Roman cuisine with a creative twist — using fresh, organic products from the market and from his wife's farm. Sometimes Italians like to ignore the menu, just trust the restaurateur, and go with the meal he suggests. Whenever possible, so do I. And that's the plan tonight. First up? Fresh scampi, oysters, and shrimp, and they're served the way Romans like it — crudo, or raw. Next, Claudio switches us from a white to a red wine in anticipation of the pasta dishes. Claudio: Ravioli, si? Stuffed with, um, ricotta — ricotta cheeses — and spinach. First, a ravioli with a delicate cream sauce and a pinch of sage. That's a nice lead-in to our second pasta: spaghetti alla carbonara. Carbonara is eggs, pancetta, some pecorino, and a little bit of parmigiano and pepper. Very simple, and very Roman. Claudio recommends a wine change, to a super Tuscan. This will be super, with a dish of rare beef topped with thin strips of lard. As an extra treat, he's prepared a special local whitefish. Finally, the dolce. Sorry, but these desserts taste even better than they look. What a meal! To best enjoy Rome, I look for a centrally located refuge. Places like Hotel Oceania are quiet, air‑conditioned, and affordable. Stefano and his staff offer lots of creative touches, like this breezy terrazzo, where you can almost forget that you're in a large, chaotic city. They work hard to create a caring family atmosphere. And the breakfast room is homey, providing a classic Roman breakfast of fresh rolls, pastries and coffee — a fine place to start your day. We're heading back into the center on Bus #64. It's popular with tourists because it starts at the train station and laces together many of the city's top sights. Therefore, it's popular with thieves as well. I'll bet there's a pick-pocket on this bus right now — dressed like someone you'd never expect to be a thief — perhaps a businessman, a priest…even a tour guide. Don't be paranoid; just keep your valuables zipped up and buttoned down. Rome is a collection of distinct neighborhoods, each with its own heritage and character. A good example is the ghetto, or Jewish Quarter. In ancient times, this bridge was called "Jews' Bridge" because Jews and other foreigners — who weren't allowed to live in central Rome — would commute from Trastevere, over there, across this bridge, to get into town. To understand the Jewish chapter of Rome's story, we're joining my friend and fellow tour guide, Micaela Pavoncello. Micaela's family goes all the way back to the Jewish community living here before Christ, and the family line continues. Her baby is due in just a few months. Rick: So, what's unique about the Roman Jewish community? Micaela: Well, first of all, we're not Ashkenazim, and we're not Sephardim. You know, the Ashkenazi went to Germany and Poland, and the Sephardi went to Spain. The Roman Jews came straight from Jerusalem before the destruction of the Temple, so we are here since before the Diaspora. Rick: Ah. So, when you think Ashkenazic or Sephardic, that's after the Diaspora. Rick: So, you can say this is the oldest Jewish community in Europe. Micaela: Yes, one of the oldest outside of Israel. Rick: So, if the Roman Jews came before the Diaspora, why did they come here in the first place. Micaela: Because they were diplomats and businessmen. And during the centuries we had to live with emperors and popes. And we were tolerated because we were good for the business, and we were not pushing our religion to the others; we were keeping it for ourselves. Rick: So then what happened? Rick: Okay, so the church is fighting the Protestants and at the same time fighting the Jews? Micaela: Yeah. And to avoid any contamination between Jews and Christians, Jews were segregated in that walled area in Rome in 1555. Rick: So what was the life like in the ghetto? Micaela: Well, you have to imagine 9,000 people squeezed in a four-blocks area, flooded every single winter — because the Tiber would flood every winter. So it was squalid, muddy, disgusting…it was the worst real estate of Rome. The synagogue was the community center. It looks like a church because back when it was built there were no Jewish architects handy, and that's what Christian builders knew how to make. It's Art Nouveau with a dash of Tiffany. The dome was painted with the colors of the rainbow — symbolic of God's promise to Noah that there would be no more floods. The stars symbolized that the Jewish people would be as many as the stars in the sky. Back in previous centuries, when the ghetto was a walled-in town, Christian Romans built churches at each gate. And each of these churches came complete with an attempt — in Hebrew script — to convert the Jews. While most of the squalid ghetto was demolished with Italian unification in 1870, the buildings facing the main drag survive. Shops sell fine, locally produced Judaica, and kosher restaurants proudly serve traditional dishes, like those with artichokes. While the Jewish community now lives all over town, many Roman Jews still enjoy gathering here, in the neighborhood where they have such deep roots. Micaela: So, I'll take you to the Jewish bakery. The same family has been running the same business for 200 years! They only offer five or six recipes, so don't ask for weird things. They only have cheesecake with chocolate, cinnamon biscotti with almonds, macaroons, and the pizza. That's called a "Jewish pizza." Rick: What is in the Jewish pizza? Rick: Tell me about the Challah bread. Micaela: The Challah bread…it's what we serve when a baby boy is born, or when a couple gets married, or when we have a bar mitzvah. Ah, you like it. Rick: So, this is to celebrate a new baby. Rick: That's very appropriate today. Very nice. Rome is a city of magnificent art. It's everywhere you look, and most of it was paid for by the Church. Public squares like Piazza Navona — with Bernini's much-loved Four Rivers fountain — are decorated with Church-sponsored art. Until modern times, it was the Church that had the power, the money, and the need for great art. And going to church offered the masses — whose lives were so dreary otherwise — a promising glimpse of the glory that awaited them in the next life. And, visiting today, our challenge is to appreciate the art from that perspective — as a medieval worshipper. Popping into churches — many of them nondescript on the outside — you'll find sumptuous art treasures inside. The wonderful thing about seeing art in churches is that it's in situ — not hanging on museum walls, but exactly where the art was designed to be enjoyed. Thoughtfully stringing together a series of lesser-known churches can be an art lover's delight. For example, dropping by the relatively obscure Santa Maria sopra Minerva we find a glorious Gothic interior laden with impressive art. The altar sits upon the tomb of St. Catherine, with the ornate tombs of two Medici popes looking down. For generations, pilgrims have marveled at this Michelangelo statue of Christ carrying the Cross. And, in the side chapel, is a lovely series of frescoes by Filippo Lippi showing the good works of St. Thomas Aquinas accompanied by a celestial serenade. Another even less-visited church, Santa Prassede, is decorated with the best Byzantine mosaics in Rome. They date from the 800s. In this chapel, the gold ceiling represents heaven. An icon-like Christ emerges from the background, supported by winged angels in white. Saints walk among patches of flowers, while Mary and Jesus overlook the altar. While this small chapel is impressive even to our modern eyes, in the darkness of medieval Rome it was stunning — celebrated as the "Garden of Paradise." Another gem awaiting those exploring Rome's back streets is the Church of St. Peter-in-Chains. Its fine side altar was sculpted during the Renaissance, an age when realism, emotion, even psychology were injected into the art. Its centerpiece is a masterpiece by Michelangelo. Michelangelo tells a story in marble: Moses has just returned from a meeting with God. He senses trouble back home. He turns to see his followers worshipping a golden calf. Gripping the Ten Commandments under his muscular arm, he's about to rise up and punish the naughty Children of Israel. Great art like this is in seemingly endless supply here in the Eternal City, and, by side-tripping out of town, you'll find even more. Rome's main train station — called "Termini" — is a massive transportation hub. Public buses, tour buses, and city subways leave from here in all directions. The train station itself is a thriving mall, with everything from 24-hour pharmacies to fast trains to the airport. We're meeting up with Francesca again, riding the subway out to Ostia Antica, to explore what's left of ancient Rome's mighty port. The ruins of Ostia rival the more famous ruins of Pompeii. And while Pompeii is three hours away, Ostia is just a half-hour train ride from downtown Rome. Two thousand years ago, this was a working port town. Wandering around, you can imagine the bustle and complexity of a once-thriving port of 60,000 people — warehouses, apartment flats, mansions, shopping arcades…all laid out in a typically Roman grid of streets. Located where the Tiber River meets the sea, Ostia was founded in the fourth century before Christ. It served as a naval base, protecting Rome from any invasion by river. It was also an administrative and warehousing center, keeping more than a million Romans fed and in sandals. But eventually things went downhill for Ostia. Rome fell. The river changed course, the port silted up and was abandoned — the entire place became a malaria-infested swamp. And Ostia was forgotten. The mud that buried Ostia actually protected it from the ravages of time — including stone-scavenging medieval peasants. And, thanks to extensive — and ongoing — excavations, there's lots to see. This fine mosaic decorated the Baths of Neptune. At the bottom of the pool, Neptune rides four horses through the sea. Apart from the cupid riding the dolphin, the sea looks frightening — which, to those ancients, it was. The adjacent theater seated 4,000. Plays were rowdy daytime events — with lots of audience participation — perhaps a bit like today's school field trip. Typical of Roman urban design, this complex mixed religion, business, and entertainment: a grand theater facing a temple surrounded by a commercial square. The Square of the Guilds, lined with offices of ship owners and traders, was the bustling center of Rome's import-export industry. Mosaics on the sidewalk advertise services offered by various shops — with symbols for sailors and merchants who were either illiterate or couldn't read Latin. Shippers showed off fine vessels. This lighthouse was the sign of the great Egyptian city of Alexandria. Grain containers are reminders that grain was the major import of Ostia. Francesca: Rome imported most of what it consumed. These big jars contained oil, wine, and grain that came from all over the Mediterranean and was stored here, and then shipped off to Rome. This is the mill. Ostia was famous for the quality of its bread. They would put sticks through these holes and then a donkey or human would push them around. Rick: …flour comes out the bottom! Rick: That's stone ground, I'd say. Francesca: Is a bit, really. Rick: I love to imagine how people must have lived here. Francesca: Yes, in apartments that can be easily up to five stories high. They had no kitchens, no plumbing, and no heating, so they used these apartments like tents at a camping site just to sleep. Francesca: No kitchens. So even to eat they would have to go to a fast food or a cafeteria. Most of the time it was just across the street. Rick: So, you'd just step across the street to the corner diner? Rick: Two thousand years ago this was the neighborhood bar. Francesca: Yes, like a cafeteria or a fast-food place. Francesca: You would come up to the counter and maybe order something to go. Maybe you might see some food or some drinks on display here, or if you had time you would come inside, and you could have something sitting down. And here probably they had a display of the food, or maybe the cups and the plates. And then there is a pictorial menu that shows us what was offered. So we have food, we have drinks, and we have music. Rick: So, music, like, "Tuesday night, we got live music." Out in the courtyard. Francesca: Yes, why not! As you can see, public restrooms are really public. And quite advanced; they had running water coming through. Rick: So, there's a stream going all the time, constantly flushing. Francesca: Yes, constantly flushing, so constantly clean. Imagine frescoes on the walls, and even revolving doors at the entrance. Rick: It's so easy to underestimate how advanced Rome was. Ostia's delightful little museum helps bring life to these ruins. These fine statues — tangled wrestlers, kissing cupids, playful gods — adorned the courtyards of wealthy Ostia families. Many of the statues are second- and third-century Roman copies inspired by famous but now lost Greek originals. These portrait busts are of real people — like those you'd meet on the streets right here, 1,800 years ago. One thing Roman artists did well was carve realistic busts. It was their forte because Roman religion revered ancestors — the man of the house (and his father and grandfather). That's why statues of dad and grandpa were often found in the corner of any proper house. Also, with the emperor considered a god, you'd find his bust in classrooms, at the post office, and all over town. With Rome's rich inheritance from those god-like emperors, today's city comes with a grand personality. But as we've seen, it also has its intimate charms. And exploring the Eternal City, getting to know its many dimensions, with each visit, I find it becomes a better friend. As I've discovered over a lifetime of visits, Rome rewards those who venture beyond its monumental sights. Thanks for joining us. I'm Rick Steves. Until next time, keep on travelin'. Ciao. In this episode [barking], we explore this grand city, so rich in [barking] art and culture, in a more intimate way…WITH DOGS! …in a more intimate way [ding ding! ], by delving into its back lanes and unheralded corners [ding ding ding! ].